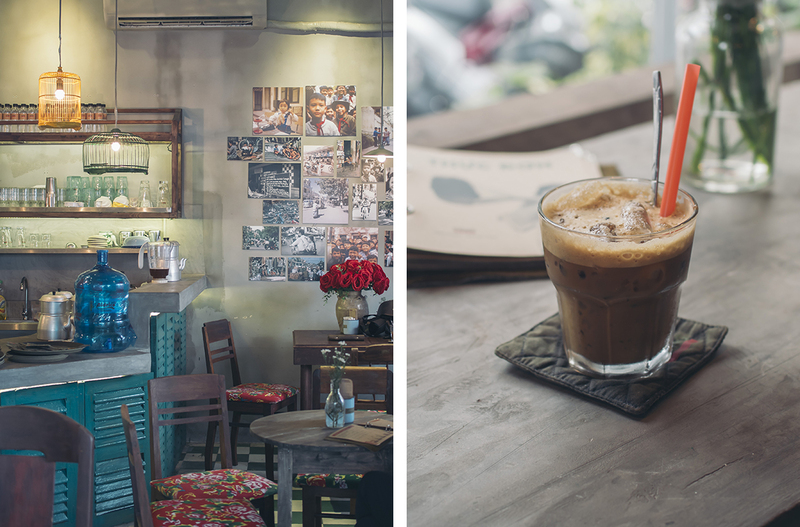 Three things I need when I travel – a good book, a note pad that fits in my purse, and coffee. Nonnegotiable. I even pack instant coffee when I’m on the road, JUST in case we’re not able to find a coffee shop first thing in a new country. Not the best, but gets the job done. “Gets the job done” – a totally American attitude toward coffee. RAD AND HUNGRY headquarters be in Seattle, arguably the coffee capital of the world. Ho Chi Minh City may have us beat. Every corner, every block another cafe. Out on the street, men sittin’ on plastic stools, sippin’ on iced coffee, water beading down the glasses. Late at night, we stopped at a hoppin’ bar and looked around to discover – this wasn’t a bar. Everyone here looked to be about 20. They were drinking coffee. In Seattle, lingering over coffee is a luxury. 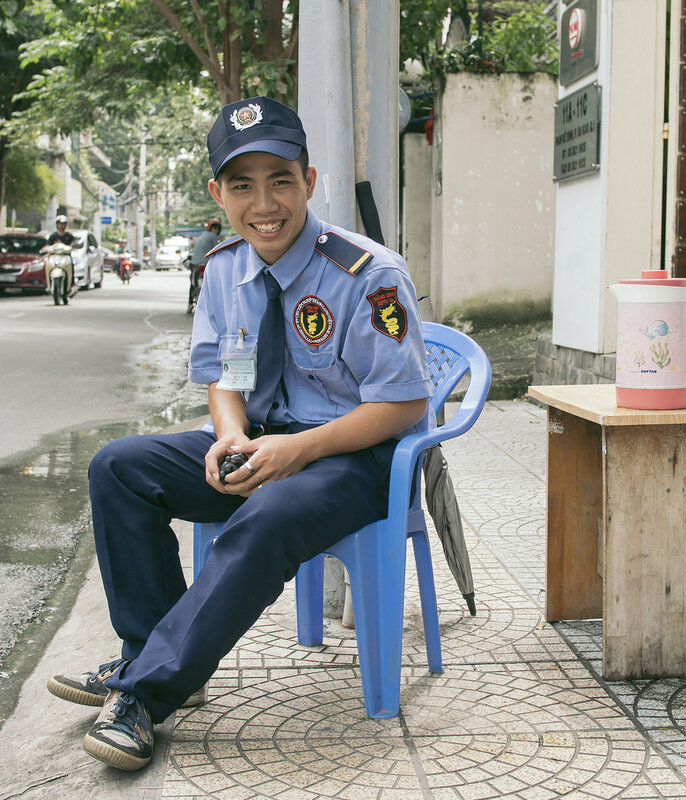 In Việt Nam, it’s just the way. 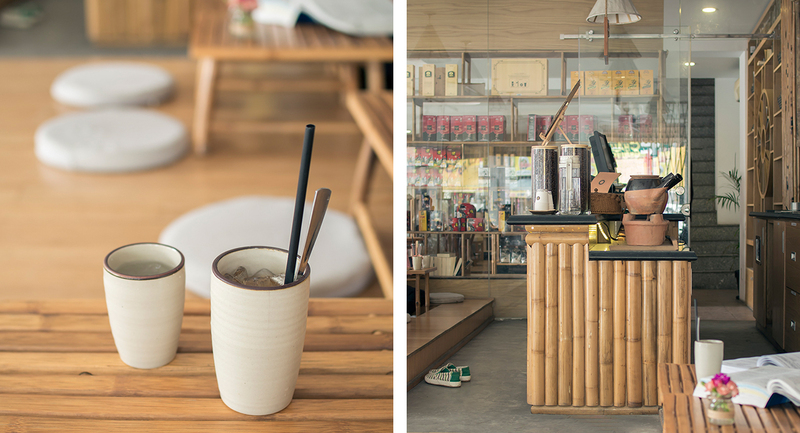 You CAN’T rush traditional Vietnamese coffee. 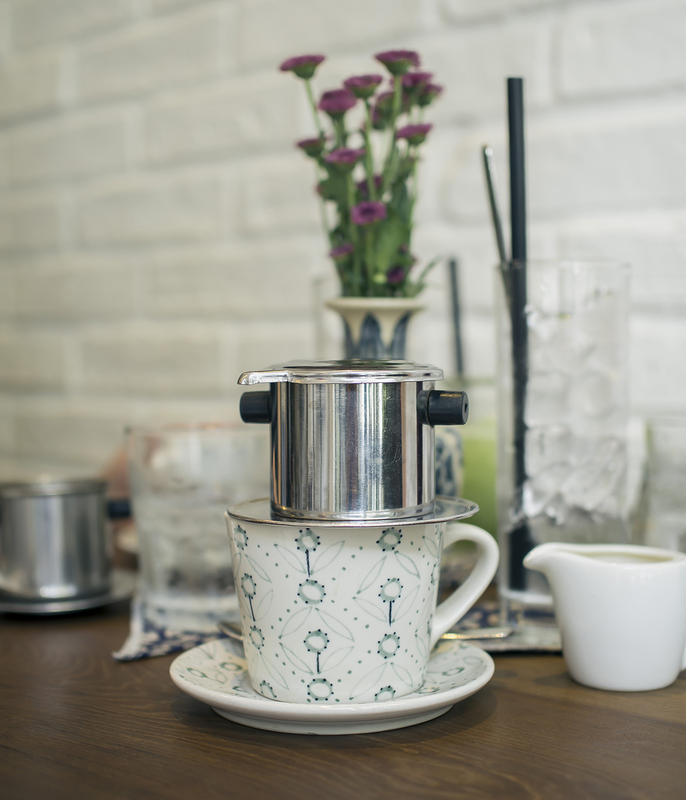 Order a cup – iced or hot, but don’t skip the sweetened condensed milk – and it arrives at your table with a metal filter sittin’ pretty on top of your mug. (Or glass jar at the street spots.) And then… you sit. You talk. You watch the drip drip drip as the water sloooooowly filters through the coffee, one drop at a time, formin’ a delicious pool on top of the thick, sweet milk at the bottom of the mug. In the States, only the Coffee Elite will sit and wait for a French press. In Việt Nam? Everyone waits. But it doesn’t feel like waiting. 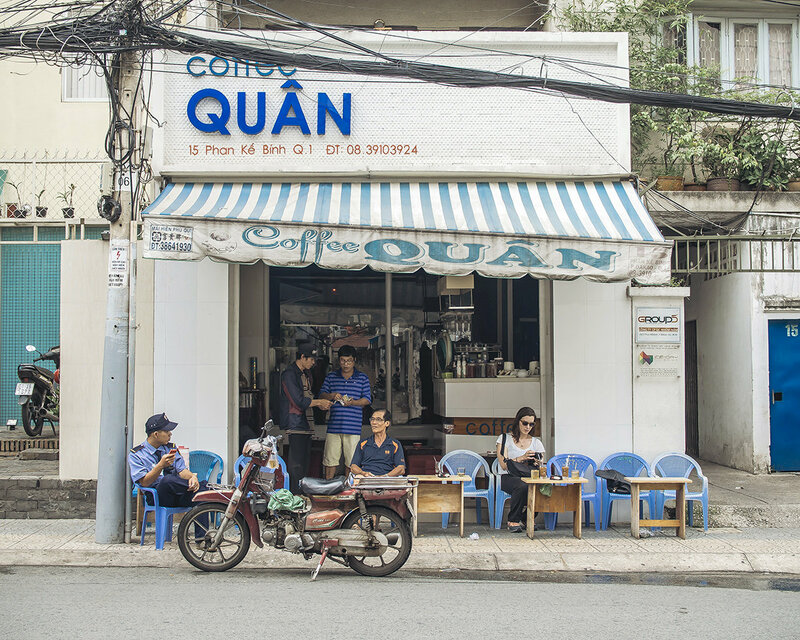 This is part of the ritual, part of the pleasure of Vietnamese coffee culture. There’s no rush – not when the coffee’s brewing, not when you’re sippin’ the thick, sweet concoction, not when you’re done and you’re just sittin’, reading, writing, talking, passing the time… watchin’ the scooters zippin’ by.